With four studio albums in the pocket and tours all over the world, you could say KADAVAR would gratefully take a break when there´s a chance. Yet, they took the time in 2018 to start another adventure. 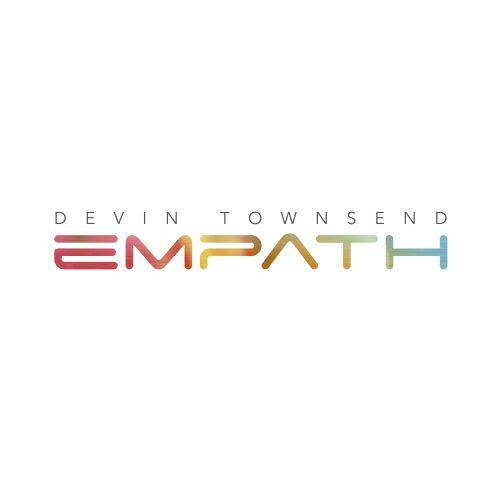 Five years later, the band decided to give it a try and started to rehearse with Matthias Schult (HEAT) on second electric guitar, followed by Konrad Krenzlin (OPERATORS) on the organ. With the two Berlin based guest musicians, the band started to revisit and rearrange material which normally would not be played on a regular live set.Out of the excitement for growing song structures and a more spaced out, thickly layered soundscapes drummer Tiger Bartelt asked his older brother David to join the project and bring in his classical guitar skills. Shortly after that Felix Meyer zu Venne, also known as the avant-garde noise generator RAUNE, joined the band that now calls themselves THE COSMIC RIDERS OF THE BLACK SUN. 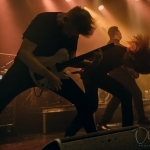 They will put up a one-off show at Heimathafen, Berlin on February 2, 2019 and expose material of KADAVAR in a different light. Or as Tiger puts it: „When we play as a trio, it´s all about raw power. It´s about taking all the space. 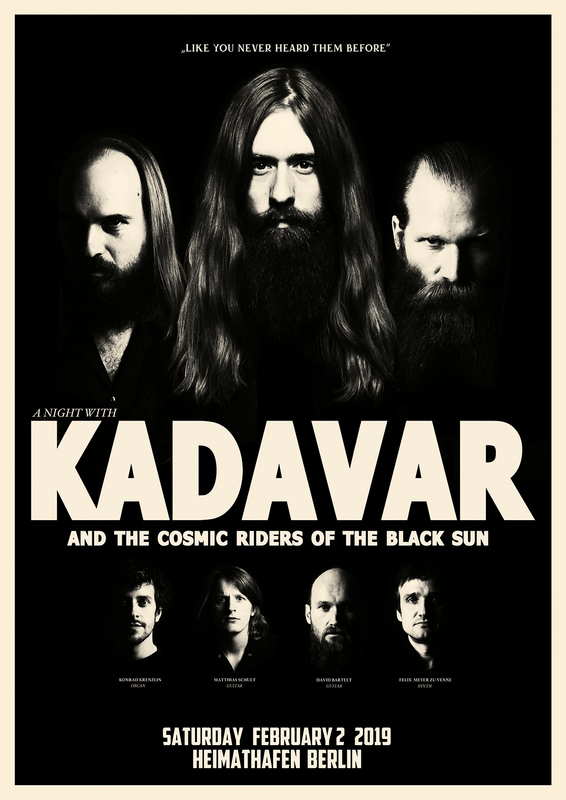 Playing with a bigger group, you need to create space for each other.“After their sold out Show at Festsaal Kreuzberg, this will be a rare chance to experience the music of KADAVAR like you never heard them before. Surrounded by new sounds and colors, creating a universe on their own. Order tickets from this location.